Peak idiocy is an apt description of the Kemper County Lignite craze that possessed a former governor, the Mississippi Public Service Commission before the last election, and other notables. I borrowed the term from a recent article in Investor’s Business Daily entitled “Goodbye, OPEC” which asked this question: “Doesn’t it seem like yesterday when the left was running around shrieking about ‘peak oil?’ More like peak idiocy.” Not just the left, it seems. 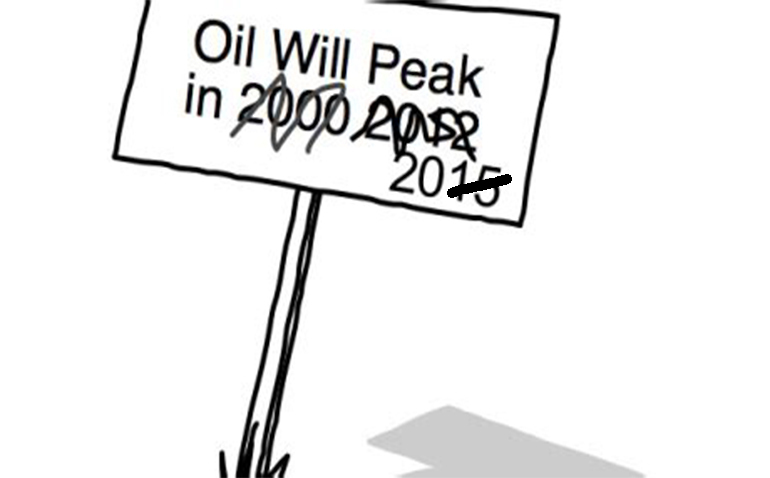 “Peak oil” is the idea that the world is running out of oil. It’s not a new idea. It’s usually credited to the geologist King Hubbert and a paper he published in 1956. He predicted that oil production would peak in 1970 and inevitably decline thereafter. He was wrong because his prediction was based on existing technology. Others before and after him have made the same mistake — not just about oil. It seems obvious, but betting against innovation and change is usually a losing bet. Just ask environmentalist Paul Ehrlich. He lost a famous bet with free market economist Julian Simon about the future price of copper and four other metals. Ehrlich bet they would be used up (depleted), and prices would rise. Simon bet innovation would make them more plentiful and prices would fall. He was right. His classic book The Ultimate Resource argues that people (creative minds) are the resource that makes the difference between abundance and scarcity. Which brings us to the current abundance of oil and gas. The Energy Information Agency predicts that US oil and gas reserves will surpass Saudi Arabia’s by year end and possibly Russia’s before 2020. Thanks to fracking. The US is now flooding Europe with oil exports (at Russia’s expense) thanks to the end of the export ban in 2016. Thanks to Donald Trump and to fracking. And thanks to the end of the ban on drilling on federal lands — and to fracking — the US will likely become a net exporter of oil and gas. This will have an enormously positive effect on the balance of payments. And federal lease revenues could be used to reduce US debt. Which brings us to consider the peak idiocy of subsidies for ethanol, biofuels, windmills, solar power, and other alternative sources of energy. They were justified as a backup despite their high cost when we were about to run out of oil and gas. Now they are justified because they are “sustainable” and “clean.” And because they create jobs. And because they are, you know, really really good ideas that aren’t good enough to stand on their own bottom — yet. But might some day with a little help from friends. They are really justified, er … rationalized, because it’s almost politically impossible to take away an entitlement (which is what these subsidies are). Especially entitlements for rich, well-connected promoters. There are some lessons to relearn here about what drives innovation and abundance. And what impedes it. First, creative destruction is a powerful force for innovation. It’s not a good idea to create subsidized industries and protect them from it. Or on a smaller scale, favor specific businesses with grants, loans, tax breaks, zoning exceptions, and other advantages that put experts and elected officials in charge of the local economy. Competition and the free market usually do a better job than central planning. Second, it’s not a good idea to create barriers to entry such as occupational licenses or required academic credentials that don’t confer competence for jobs that would otherwise be available to those with a good work ethic and common sense. Third, it’s not a good idea to substitute regulation for the free market. Regulated utilities are a case in point. Regulation stymies innovation, and monopolies deny customers the benefits of competitive prices and services. Mississippi Power’s residential rates are 25% higher than Entergy’s because it has a monopoly. Entergy’s are higher than they would be in a competitive environment — because it has a monopoly. Entergy’s electricity is cheaper than Mississippi Power’s partly because part of it comes from third parties, whose cost is lower. In fact, Entergy says it has saved its customers millions buying electricity via MISO’s regional grid from third parties with lower cost. The US Department of Justice “encouraged” Entergy to do this. Competition might have given customers of both companies a better deal sooner. Finally, skin in the game counts. Texas entrepreneur George Mitchell was the daddy of fracking. He succeeded despite failure after failure. He had skin in the game. His own money. He also had the innovators dream, drive, persistence, stubbornness, intelligence, intuition — and luck. Others with similar traits have advanced the technology. Skin in the game made him careful with his money, although many thought he was crazy to keep on failure-after-failure. And the verdict would have been crazy if he had failed. Skin in the game made him richer, although he was already rich. But it made others even richer. And others safer, more secure, and more comfortable. And created jobs for millions. And it made the US ENERGY INDEPENDENT. One footnote to this American success story. And one last lesson. Fracking was under development the same time as the Kemper County Lignite Plant. Kemper’s technology was a bet against fracking technology and cheap natural gas. Mississippi Power and Southern Company couldn’t make Kemper’s technology work. But they persisted long after it was obvious that it wouldn’t work and that fracking did work and made natural gas so cheap that Kemper couldn’t compete anyway. Why did they throw good money after bad? They thought the political fix was in. And they didn’t have skin in the game. They thought customers would pay for everything anyway. Turned out they were wrong about that too. A $7 billion mistake.